FALSE It helps, but it doesn’t totally prevent you from getting sick. Most cold and flu viruses are contracted via the eyes and nose, and new victims typically inhale viruses from coughs, sneezes, or just the exhaled air of infected hosts up to six feet away. An estimated 30% of people infected with flu exhibit no symptoms, making them impossible to avoid. While cleaning surfaces can help, frequent, thorough hand washing and not touching your eyes and face are still some of the best defenses against contracting colds and flu. When water and soap are not available, alcohol-based hand sanitizers are a smart second choice, as they have been proven to kill a wide range of bacteria and viruses when used properly (at least a dime-sized amount of product rubbed in for a full 30 seconds over all surfaces of the hands). FALSE The solutions all require different lengths of time to kill different types of germs, but almost none work instantly. Most sanitizers and disinfections require 5 to 10 minutes to kill all germs. Those that claim for marketing purposes that they “Kill in 30 Seconds” might kill only one organism that fast, but take 5 to 10 minutes for all the remaining important germs! Spraying and immediately wiping dry with disinfecting or sanitizing cleaners kills no more germs than regular soap. FALSE Each means extremely different levels of germ kill. Sanitizing kills 99.9% of bacteria only, while disinfectants kill 99.999% of viruses, fungi, and bacteria. 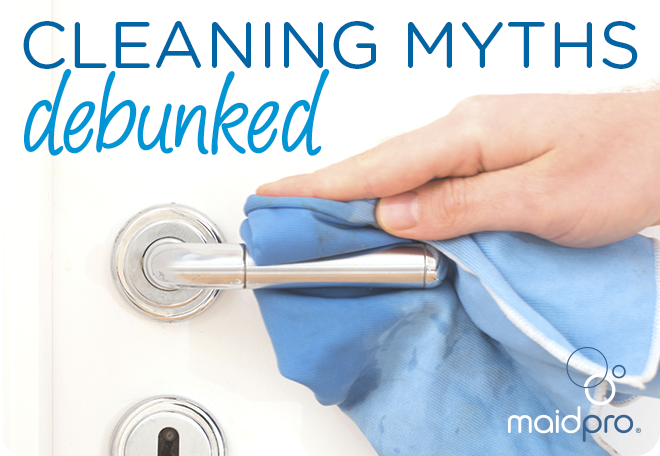 It sounds like a small difference, but that 0.099% reduces exposure to germs by 100 fold! Buyer beware: so-called antibacterial soaps are only required to contain antimicrobial agents and don’t actually need to prove they kill more than their non-antibacterial counterparts. FALSE To legally state “kills 99.9% of germs,” sanitizers and disinfectants must only prove they can kill a few specific types of pathogens and may not work on the ones you really care about, such as cold and flu viruses. As a rule, if the package doesn’t list it, the solution doesn’t kill it. To find out which germs your product works on and how long it takes to kill them, you’ll need to read the fine print. FALSE Sanitizers and disinfectants only need to prove they work on flat, non-porous, and already clean surfaces! Neither can penetrate dirt or into porous surfaces where germs often hide. To kill ALL germs, you first need to clean and rinse away dirt and loose germs, then apply a disinfectant to kill any germs still clinging to the surface. Sloppy cleaning with disinfecting cleaners not only leaves germs behind, it leaves food for germs to feed on and multiply, and enables them to build resistance, leading to superbugs. Long story short, clean well!